Campus and community members interested in the national conversation on inequality in modern America can learn more about the issue at an upcoming talk by scholar and activist Chuck Collins. 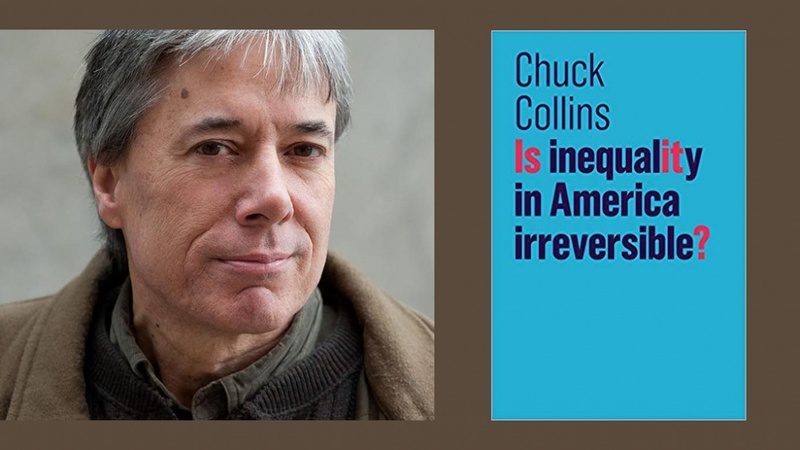 Collins’ talk, “Reversing Wealth Inequality: The Case for Restoring Progressive Taxation and Bringing Wealth Home,” will look at how both racial and wealth inequality came to be as well as what can be done to address it. The free public lecture will be held in Room 156, Straub Hall on Wednesday, April 17, at 7:30 p.m.
“Our speakers this year have examined critical topics that impact the world we share, such as the environment and ecology, economic disparity, mental health and incarceration, and technology and ethics,” said Peg Freas Gearhart the center’s communications coordinator. The Tzedek lecture series is a reference to the Hebrew word for righteousness or justice. The lecture series was inspired the “Ethics After the Holocaust” conference at the UO in 1996. Since 2007, the center has brought 11 Tzedek lecturers to campus. The Oregon Humanities Center is an interdisciplinary umbrella organization for the humanities at the UO, Freas Gearhart said. The center supports humanities research by fostering collaboration across disciplines and sponsoring public programs. To learn more about Collins’ work or the upcoming lecture, read the announcement on the center’s website.